As the computer, tablet and smartphone industries move toward adoption of the new USB Type-C connector, a new version of Thunderbolt is quickly approaching. 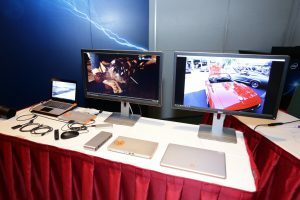 With speeds topping 40 gigabits per second, Thunderbolt 3 promises to provide another solution to unify various display, docking, power, storage and network protocols currently available under the USB Type-C standard, with data transmission speeds beyond that of USB Type-C as well as other protocols like DisplayPort and PCI Express. Initially, Intel engineers hadn’t considered using USB Type-C when developing Thunderbolt 3. 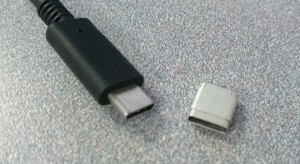 USB and Thunderbolt have been widely used to connect various peripheral devices providing storage, display, and recently, power capabilities though distinct ports on devices. And until now, these ports have been separate. When work by Intel began on Thunderbolt 3, the port was going to continue to be unique until standards began to emerge for USB Type-C. According to Ziller, the “eureka moment” occurred when Intel engineers realized they could use USB Type-C as the port and protocol for Thunderbolt 3. USB Type-C offers a small, reversible, fast connector that also included 100W charging capabilities. The previous versions of Thunderbolt used the same connector as Mini DisplayPort (MDP), which is approximately 5.4 mm high and 8.3 mm wide. 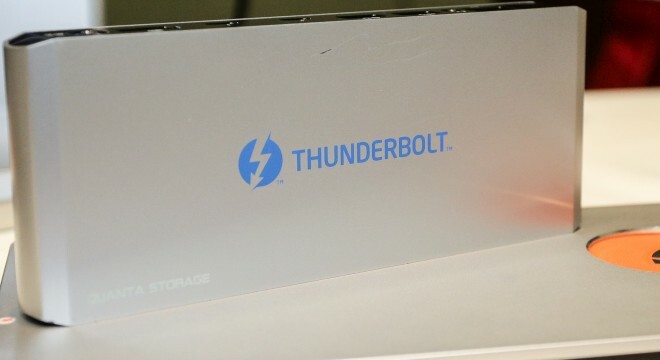 Thunderbolt 3 had two primary goals: double the speed of Thunderbolt 2 from 20 Gbps to 40 Gbps, and lower the Z-height (the thickness of the port and cable) of the connector. USB as well as Thunderbolt have been pushing data transfer speeds since their introductions. 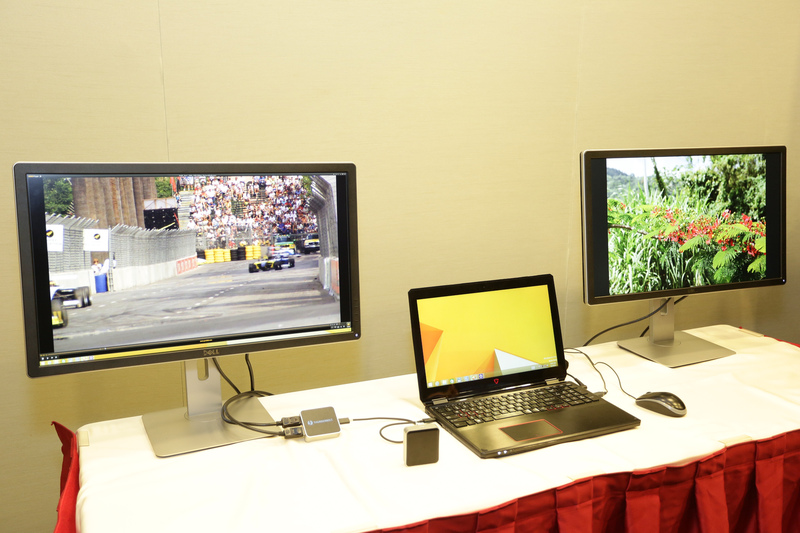 Dual DisplayPort displays from a single Thunderbolt 3 dongle. As devices continue to present thinner form factors, the space for ports is being compressed as well. USB Type-C has less height than both USB Type-A and previous Thunderbolt connectors. Intel engineers were faced with the task of squeezing more out of an increasingly thinner space. Because the Thunderbolt engineering team didn’t have to reinvent a connector, the biggest challenge was developing two combined 20Gb fiber channels. Thunderbolt 2 had two combined 10Gb fiber channels that achieved the throughput of 20 Gbps. Thunderbolt 3 handles multiple protocols, including DisplayPort, USB and PCI Express, which means there are multiple use cases consumers can benefit from. The 40 Gbps speed allows for dual 4K displays (or a single 5K) display to be connected. As with USB Type-C, Thunderbolt 3 supports 100W charging, including power for 15W bus-powered devices as well. External discrete graphics running over Thunderbolt 3. Like previous versions of Thunderbolt, certified peripheral devices, of which there are currently over 250, can be daisy-chained together, meaning they can be plugged into one another and data and power can be transferred between the computer and these devices without reducing speeds or dropping data. 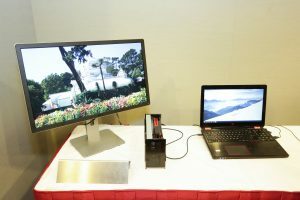 Since Thunderbolt 3 supports PCI Express, laptop users have the ability to plug in third- party external graphics cards to allow for high-performance playback of graphics. Consumers were concerned about cable options for Thunderbolt 3 as previous versions of Thunderbolt cables were costly. Ziller shared good news regarding cables as there will be several types of cabling solutions available. Traditional USB Type-C passive cables will be available at a lower cost and serving the general USB marketplace. These passive copper cables have no active components and will support speeds up to 20 Gbps as well as USB3.1, Thunderbolt and DisplayPort 1.2. Full docking options from a single cable. For active Thunderbolt cables there are two versions, copper and optical. 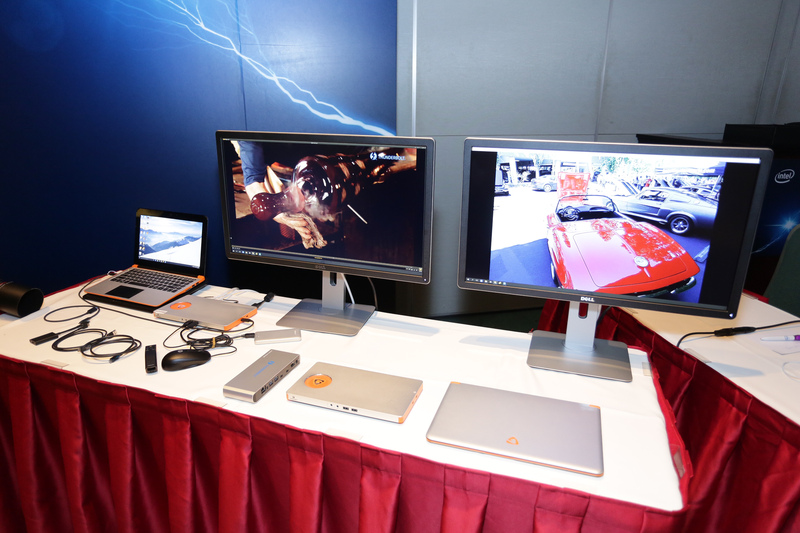 The copper one contains active components and can handle the new Thunderbolt speeds of up to 40 Gbps. Like its other copper sibling, the cables can be up to 2 meters in length. The optical version of the Thunderbolt cable, available in 2016, increases the length limit to 60 meters, which means it can be used for peer-to-peer networking and small workgroups. The Thunderbolt protocol in general can handle 10Gb networking but for longer distances, an optical cable would be needed. While there is an active push toward a world without wires, Ziller believes Thunderbolt 3 is the “stepping stone” to get there as Thunderbolt 3-based, single-wire docks will dramatically reduce the need for multiple cables going to multiple peripherals.